One of our most popular and stable themes just took a giant leap forward. The Advanced Newspaper WordPress theme has been updated to version 2.0 and incorporates several new features based on customer feedback over the past year. We think this enhancement definitely differentiates Advanced Newspaper from other themes in the market. Now you can be proud to run an online newspaper or magazine that can match the look and functionality of more popular sites with much larger budgets. Some of our customers asked for a a neat way to add more content and categories. We took that into account and revamped the mid-slider to include the ability to add more photos and categorical content. As part of this massive release, we updated Advanced Newspaper to the latest Source framework. This means you’ll now have even more options to . For example, there are Custom Post Types for Photo and Video, and many of the most common modules are available as custom Gabfire widgets. With all these updates, you have more flexibility to make your theme look and feel exactly as you envision. Within this update we also took the opportunity to update our navigation and add in a neat overlay to engage readers. That’s in addition to the lightbox-like overlays you’ll find throughout the site for photo galleries and videos. With all these new options to play with, it was only right to equip Advanced Newspaper with a new control panel. With dozens and dozens of options to configure, you’ll find the theme control panel to be addictive. Just don’t let it distract you from writing great content. 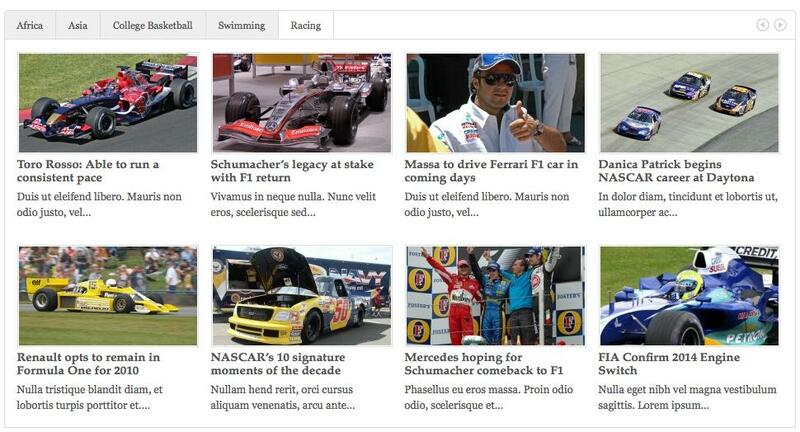 If these changes peak your interest, then you need to go check out the demo or purchase the Advanced Newspaper theme. Every day your site is not online is another day you are not being found. Let Advanced Newspaper get your content front and center! 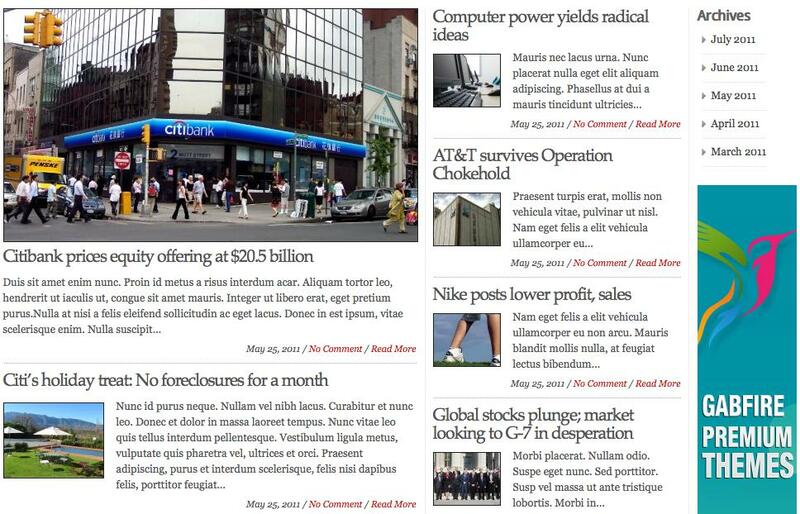 This is one of the most popular and robust newspaper themes in the market. Go Get It! 47 Responses to "Advanced Newspaper Theme Update Takes Leap Forward"
I bought this newspaper theme and I would like to ask you if I should pay separately for this update. If I could download this update for free, could you please tell me how. Mehmet, why don't you use some membership software to manage your customers, products and forums as other theme providers do? That will be very convenient for both you and your customers. That is something in our 4th quarter plan Alex, we are going to start a membership club pretty soon. I did not received the link for the download. Could I get the link please? Wow. I'm impressed with the improvements. Amo todos os temas do Gabfire, mas o Advanced Newspaper é o meu preferido. Great work you've done gabfire Team. It's for sure the best magazine theme in the wordpress themes Market. Wow, this is a superb update, Mehmet. And hope everything is going smooth with the membership club! Hi Jimmy – submit a thread on the support forum and I'll see what I can do. Though, there are plenty of plugins that will insert dummy posts for you if that's all you want. I own the Newspaper and the Transcript themes. Do I have to pay to upgrade to the new theme? I have no idea how to find my download link from my original purchase. THESE ARE THE BEST WORDPRESS THEMES IN THE WORLD! BUY ONE! Thanks Mots! You do not need to pay for the upgrade – all theme updates are free for customers. Hit us up on the support forum and we'll send you a new download link. Appreciate the compliment. Im not very good at that but I get the general Idea :), would u guys give me support with this? We might be able to help you with extra category blocks, but the featured section question is not something that we can help you with as that requires some serious theme customization. I emailed you guys and sent you a graphic idea of the end result. The themes are great. But, the icing on the cake is the outstanding support. I asked Mehmet a question by pm and he responded within minutes. You won't find that kind of support with most of the other theme designers. Thanks Mehmet for your help. Hi, wonderful theme but where are photo galleries in the articles? Hey guys, I don't recall getting an email about the upgrade for Advanced Newspaper. I'd love a link. Question: I have done some modifications to some of the core files. If I upgrade, I guess I'll have do the modifications again? Nice update and fixed's thanks Mehmet. If I purchase this theme, can i migrate my current posts into this theme? I just tried my old download link and it seems to work. I downloaded version 2.0.3 is that the latest? If it is problem solved…. I had purchased Adv Newspaper theme few months back.. I didnt receive the update link yet. Could you plz look into it..
Is advanced-newspaperv204 the latest one..
really interested in buying this theme. Just please bare with me tho as im new to it all, would i be right in thinking the topics can be edited ie you could change 'sport' into 'dining out'? also is there anywhere i can see what the 'magazine' layout looks like? You can change every single category names with anything else you like Ric. As for magazine style category layout, on live demo page, click Wold News category for example. When trying to embed youtube playlist into front page it doesn't show up on I-phone but it does from desktop. Probably an html5 thing. I found a couple plugins that were supposed to work but they don't. Since the media gallery strip does work in either browser, can I modify the gallery strip to be one video screen but have several video titles to slecet from and have it as skin player on the front page? I also want to have a full size player on our dedicated video plage too. Help! Other than that this template is frinken awesome! I purchased your theme and now it runs succesfully. One question, how do I insert video (bottom, right hand corner)? I’ve just uploaded the latest Advanced Newspaper theme (2.1.2) and it’s come up as just a basic white screen with text and none of the images. Not sure if I’m being mega dim here, but I’m not sure what to do. Please submit that question to our support forums Alex. We will sort it out there. If you made that purchase within 2011, we have emailed you a download link. Please use that link to get the latest version of this theme. If you bought in within this year, please login to your account at gabfirethemes.com/dashboard and download your theme. I purchased Advanced newspaper. It is a great theme. I wanted to update if possible. In addition, I want to buy another theme. Yet, my password does not seem to work. I am not receiving emails from your site to retrieve password, etc. I’ve checked my spam blocker…no gabfire email. Could you please send me a non-automated link for password retrieval and a link to the advanced newspaper theme update? I’ll gladly purchase the other theme upon password retrieval. Hi David, I have sent you a new password. I just want to update my advance newspaper theme butthe download link expired already. Why? I think I entitle to update for lifetime. Please go to dashboard.gabfire.com and get latest version of advanced newspaper. We are having issues with audio and decided to update theme, but I can not find your email to the download for the newspaper theme update. Could you please email it to me?